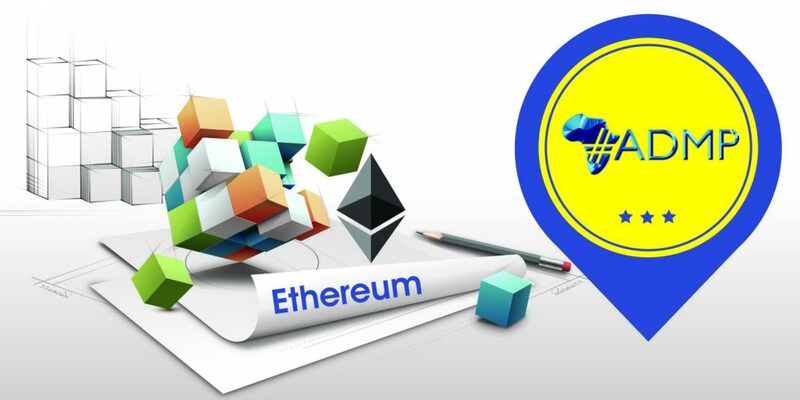 Ethereum is a decentralized blockchain platform founded in 2014 by Vitalik Buterin. Like Bitcoin, Ethereum is an open-source project that is not owned or operated by a single individual. This means that anyone, anywhere can download the software and begin interacting with the network. Unlike the Bitcoin network, the primary purpose of Ethereum is not to act as a form of currency, but to allow those interacting with the Ethereum Network to make and operate ‘smart contracts’ without having to trust each other or use a middleman. Smart contracts are applications that run exactly as programmed without any possibility of downtime, censorship, fraud, or third party interference – a smart contract will work exactly the same every time it is used. Ethereum uses a ‘virtual machine’ to achieve all this, which is like a giant, global computer made up of many individual computers running the Ethereum software. The virtual currency unit that allows this system to work is called ether (ETH). People interact with the Etherum network by using ether to pay the network to execute smart contracts. Ethereum aims to take the decentralization, security, and openness afforded by blockchains and extend those to virtually anything that can be computed. Ethereum can be viewed as a single computer that the whole world can use. It notionally has only a single processor (no multi-threading or parallel execution), but as much memory as required. Anybody can upload programs to the Ethereum World Computer and anybody can request that a program that has been uploaded be executed. This does not mean that anyone can ask any program to do anything; on the contrary: the author of the program can specify that requests from anyone but themselves be ignored, for example. Ethereum can be defined also as an internet service platform for guaranteed computation. User authentication, via seamless integration of cryptographic signatures. Fully customizable payment logic; easily create your own payment system without any reliance on third parties. 100% DDos resistant up-time, guaranteed by being a fully decentralized blockchain-based platform. No-fuss storage: forget about having to set up secure databases; Ethereum gives you as much storage as you want. Ultimate interoperability: everything in the Ethereum ecosystem can trivially interact with everything else, from reputation to custom currencies. Over the last 20 years in particular, we have seen an acceleration in the development of services and infrastructure to make the overhead of working as a team or running businesses simpler and less expensive, mainly thanks to the internet. Start-ups like eBay, Uber, Airbnb have made setting up a shop, car rental company or hotel much easier. These platforms allow people to realize their idea quickly, as long as the service they want to provide fits the template offered by the platform. Outside Ethereum, it is very costly to create a new platform if those that already exist don’t fit your needs. Ethereum can be seen as a platform for platforms : it allows people to easily create the infrastructure to make it easy to set up new services on the internet. Furthermore, any infrastructure created on Ethereum sits alongside everyone else’s creations, and so can interact with those other platforms in a guaranteed and seamless manner. Importantly, because there is not a company or indeed any entity in charge of or controlling Ethereum, the cost of running the infrastructure doesn’t have to include any profit margin, so we are likely to see lower costs. Really interesting read by Senior ADMP crypto-analyst, N. #Bellouar…do not hesitate to comment!! #ETHEREUM is booming!! #ADMP educated Africa NOW! !